1) Everyone in the family wants to have a go. Is this possible? 2) Can I really get an intense workout from this bike machine? 3) I am interested in goal progression. What data is available during the workout? 4) How can I make sure that my ride is as comfortable as possible? 5) How does the stationary bike obtain these pulse or heart rate readings? 6) It can be a little dull just pedalling all the time. What can I do to make the ride more entertaining? 7) These bikes are attractive enough, but I don’t want to keep it out all the time. What can I do? Sometimes we have a strong desire to get back into shape and hit the exercise bike. We want to get the best out of these machines for the best approach to weight loss and fitness. The problem is that some modern exercise bikes can be a little baffling. They claim to be able to do so much, and come in so many shapes and sizes. This means that the more novice users can get a little overwhelmed. What can we really achieve with these machines? What data is available? How can we be sure of the best workout? 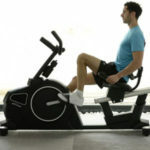 The following exercise bike FAQs should help you understand these machines a little more. This should then help you find the ideal model. 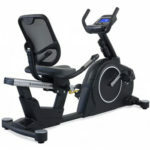 The best exercise bikes or any other piece of exercise equipment for that matter – should appeal to everyone in the household. That means that they will offer a good workout for fitness fanatics and novice users, while also being accessible to less able, or younger members of the family. The best exercise machines will find a way to cater to all users. One such way is with the variety of settings and programmes across different abilities. Then there is the physical accessibility with the adjustments of the seat and handlebars, as well as the ease in getting on and off. If you know that lots of different people will use this gym bike, check the increments on the seat height adjustment and the movement of the handlebars. 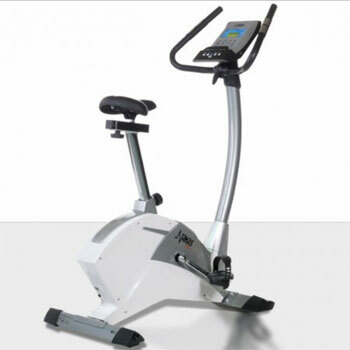 Some stationary bikes will also offer different user profiles, so different members of the family can save their progress. This talk of versatility in the programming and settings leads to this important question for those on a fitness mission. Just how much can you really gain from this exercise cycle? This all comes down to the programming and resistance options with the bike. Those with a large flywheel and multiple electronic resistance levels will appeal to more able users. Those with a wide range of options also allow for greater progression between the beginner and experienced levels. This means users can continue to up their progress and performance for better gains. Ultimately, you will get out as much as you put in. If the options are there, it is up to you how you use them. Those user profiles come in handy when tracking progress for those fitness goals. They can provide a clear update on where you stand, and how far you have come. Much of this comes down to the data provided in the console. The best machines will all offer some form of information on distance travelled, the time elapsed and the speed you worked at. Others will also offer data on pulse and calories burned. Remember that this is a theoretical idea of calories burned and shouldn’t be used as a definite guide. Comfort is a common problem with many exercise bikes. It doesn’t matter if they are a cheaper, budget option or one built to a higher standard – the seat is typically the last consideration. There are some brands that will try and provide a better shape, or a little more padding, but not all of them bother. Even then, the more padded seats don’t always offer long-term comfort. This is where it helps to purchase an additional cover or gel seat. Comfort is also important with the pedals and handlebars. Try and find a gym bike with oversized pedals and rubber grips, or foam, on the handlebars. If your budget model doesn’t have this, consider some gloves and pay attention to your footwear. This can depend on the capabilities of the bike machine. There are some that offer a port for a compatible heart rate chest strap or other device. Some brands are nice enough to include this in the box – others make you pay for this extra feature separately. Many modern machines take a different approach, with the use of pulse sensors in the handlebars. This is more convenient, but results can vary based on the placement of the hands and how sweaty they get. Again, don’t rely too much on the data. There are difference ways to make the training session a little more entertaining. This is important for those that lack a little motivation to reach their goals. Therefore, many brands offer built-in entertainment systems and clever programming to increase the experience. Music systems are common these days, with USB port and mp3 docks for a motivational playlist. Others have WiFi and Bluetooth connectivity to link up to other media, and even phone calls. A variety of programme options also helps to shake things up a bit. There are some machines that use their connections and computers to simulate familiar routes. This is great for those practising for road cycling. This is an understandable concern for many people that live in apartments, and therefore don’t have the space for anything too large. There are some bikes that are built with big, sturdy frame and gym-ready specifications. Then there are those built to suit the at-home gym. Some will have an X-frame that allows users to fold up the bike for storage – either behind the sofa, in the cupboard or under the bed. It helps to check user reviews to see just how easy it is to set these bikes up and put them away. Some are stiffer and more fiddly to work with than others. These exercise bike FAQs offer a starting point on finding the right model for your needs, and in understanding the functions and programmes a little better. 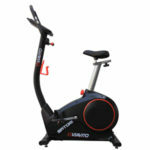 There are lots of different styles of exercise bike around, with different programmes and approaches to the user experience. Ask questions, do your research and get to know the new machine in your life.